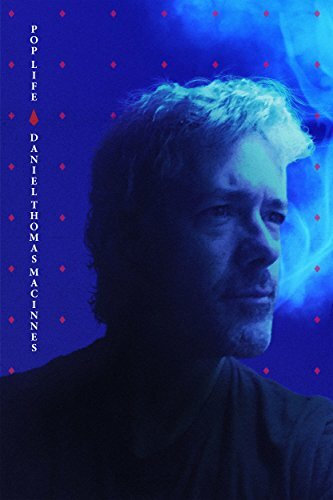 DT Media has released Pop Life by Daniel Thomas MacInnes. Pop Life is an intriguing book that consists of a collection of essays and commentary across several themes that includes film, music, games and politics. The unique collection really opens up a whole new perspective to how you view various things across the cultural landscape. "When author Daniel Thomas MacInnes dissects the pop culture universe, you better sit up and pay attention. Pop Life is a collection of essays and social commentary among four broad themes: film & television, music & hi-fi audio, video games, the political & personal. MacInnes tackles every aspect of “the pop life” with biting wit, humor and keen insight, bringing readers on an illuminating journey across the cultural landscape. Are you a fan of movie critics like Roger Ebert, Pauline Kael. Do you enjoy the social and cultural writings of Chuck Klosterman and Hunter S. Thompson? Pop Life follows continues their tradition and will prove provocative, illuminating and entertaining for all readers. Chapters and topics included in Pop Life include the following: Thoughts On Film & Television: A Charlie Brown Christmas; The Boondock Saints; Bullitt; Down on Skid Row; It’s the Great Pumpkin, Charlie Brown; Innocence: Gauche the Cellist; Ghost in the Shell 2; The Last Unicorn; The Marx Brothers; Million Dollar Baby; Napoleon Dynamite; Osamu Tezuka’s Metropolis; Paprika; Pixar, Wall-e and Rubber Soul; Ratatouille; The Simpson’s Movie; Studio Ghibli; and more. New Adventures in Hi-Fi: An Introduction to Your First Turntable; Babes in Toyland; The Beatles; Black Sabbath; Buffy Sainte-Marie; Miles Davis; DEVO; Future of Vinyl in a Digital Age; Herbie Hancock; Michael Jackson; MCS Direct Drive Turntables; Metallica; Pearl Jam; Elvis Presley; Lou Reed; Sony PS-X75 Turntable; Jack White; Frank Zappa; and more. Video Games of the Doomed: Atari 7800; Fire Shark; Frogger: Helmet Chaos; Mario Kart Wii; Metroid: Zero Mission; New Super Mario Brothers; NFL 2K1; Nintendo Wii U; Pac-Man Collection; Sega Dreamcast; Sonic Rush; Space Invaders Revolution; Super Mario Galaxy; World Series Baseball 98; and more. It’s Life and Life Only: Am I a Genius Yet; Harvester of Sorrow; Ignorance is Strength; Jeffrey Miller; Life Inside the Overlook Hotel; Max Headroom; Pope John Paul II; Space Shuttle Columbia; The Man Who Walked Between the Towers; Timmy and the Giant Space Bug; Truth is the First Casualty of War; Wisdom Teeth in the United States of Stupid; and more." In the end, Pop Life is an intricate book full of pop culture references that not only entertains but shines a light on the culture that makes up all of the things we love today. The author did a fantastic job describing the landscape making it easy to follow and enjoy. To learn more, visit the official Pop Life Amazon page.